Not to be all cliche about it but… seriously… had I known then what I know now. Trying to absorb an entirely new language and writing system while working a full-time job and singing in a band that’s gigging pretty regularly and still attempting to balance in a social life is… trying. 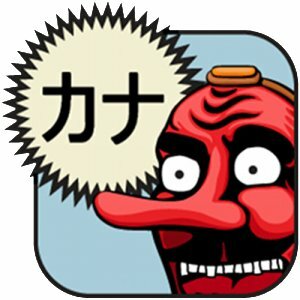 Fortunately, I found two awesome (and free) phone apps to help with the Japanese part of things! I won’t sit here and say “these are helpful without a class” because I’m not sure they would be. However, these two apps have been hugely useful as supplements to my actual classwork and instruction where the writing is concerned. Japanese uses what’s called a “syllabary” as its system of writing. Where English uses an alphabet, Japanese has symbols that stand for entire syllables (examples: ga, ka, wa, shi) . Needless to say, it makes for a far more extensive writing system. The upside is that once you know what symbol stands for what, reading words becomes very simple. For an English speaker, it’s confusing as all get out and I needed some aids. Creepy looking, right? He might be creepy looking but, boy howdy, he is helpful. 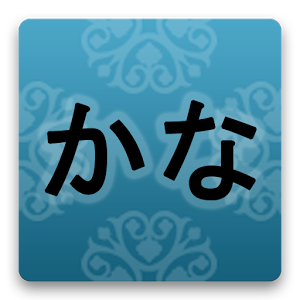 The TenguGo Kana app is designed to teach you the basic Hiragana and Katakana. It contains lessons with sound and animations as well as cumulative quizzes. It’s also broken down just like my sensei is teaching the class so I’m able to double down on my lessons each week. Here’s an example of the character animation for the ‘na’ character. Eventually, all the characters just bleed together into one lump in your brain. If this isn’t working, just click on it to see the full animation. The second app is called Flashkana. In case you were wondering, the symbols in the box stand for the word ‘kana’ – the first symbol is ‘ka’ and the second is ‘na’ and I only just realized that while I was typing this post up. Cuteness aside, this app is amazing. It’s virtual flashcards and you can actually check and uncheck the characters you want to focus on in a menu or go into a sub menu and check/uncheck entire groupings. When you’re only learning 15 or so characters per week, the ability to turn on & off characters is so handy! It’s very intuitive, tap the screen to flip the card and swipe the screen for the next card. It will also put them in random order or give them to you in straight order at the push of the universal symbol for “shuffle”. It’s funny that both apps say “kana” on their tiles, but one of the apps uses the katakana and the other uses hiragana. I found an app for alchemy ingredients in Skyrim… and it’s super helpful when I need to make potions… in my game… life.